As I’ve said previously, marketing is a stage of developing a project that can and probably should span the lifetime of the project. From the early concepts to the post release interviews, all pieces of information can be shared to your potential audience. Doing this can build interest among your audience and always keep your project at the forefront of their minds. 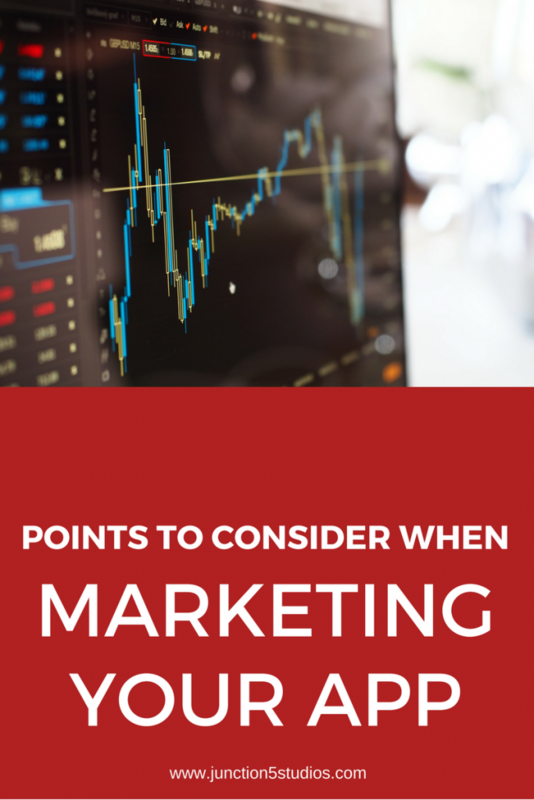 So you’ve decided that you’re going to devote a good portion of your project’s time and resources on marketing. Marketing your app is an important stage that shouldn’t be overlooked or considered after all of development has been completed. It’s important because it gets the word out about your app and draws attention to your app and your team’s other current projects. But, this stage should be thought through methodically. It should be targeted to your audience and by all means do not haphazardly post into the social media sphere. So how can you prepare if you have no clue where to start? Well, I’ve put together this short list of points to help you with your marketing plan for your next app. This list is no way exhaustive, but it should give you a good start. When you set out to market your app, you need to plan it into your development schedule alongside developing the assets. For example, when you have your concept art created, share it on the social media channels that are used typically by your target audience. Drip feeding bits of information early on is a way to get your app idea out to the public. It also allows your audience to start thinking about your app and whether they are interested in it. This may lead to questions, interaction via social media and hopefully followers eager to hear about your next update. Make sure you devote enough time to marketing your app. An hour a week may be enough in the early stages of your project. But towards the end, like near the release, you may need to plan out days for events promoting your app to gain media attention, bring your app to your target audience and get feedback from users. Make sure you plan all this time into your development schedule and what you are doing at each stage so you can gauge how much time is appropriate. What do you want to achieve from sharing your app news with your audience? You need to know what your goal is. If you start posting randomly without a plan, your audience may not understand what your point is, what your message is with that post and even what the app is about (if it’s really badly presented). Get out and start spreading your message! Like my good acquaintance Veena V always says, “take action today, not tomorrow”. Sometimes the biggest mental hurdle to cross is the first one. I know personally that stepping in front of the camera to promote on YouTube or Instagram can be nerve racking and worrying thoughts about bad lighting, whether you’ll say the wrong thing or if you’ll just look horrible on camera flood through your head. But remember, editing can be a powerful thing and practice makes perfect. Ask most people that start promoting on social media, especially video channels like YouTube, they will tell you that their first videos are not their best work. But it was an important step to make. You will only get better with time. Make sure you reflect on what you’ve done. What channels got you the most attention from your audience or the media? What sort of format did the messages take that got the most interaction? Use this knowledge to feedback into your next app’s marketing plan to get the best results. Hopefully this list gets you thinking more deeply about your marketing plans for your next app project. If you have used different strategies when marketing your app (whether they were successful or not), please share these below and let me know what your results were. Good luck. And remember if one method fails, try another.